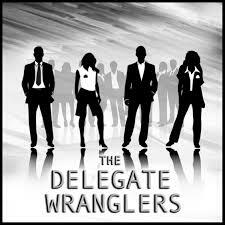 Piers was recently interviewed by Neil Thompson of The Delegate Wranglers – a superb site highly recommended for all conference professionals. You can find the interview below. Here’s our latest ‘Getting To Know’ – this time we caught up with Piers Gibbon – who has combined a career presenting TV shows like The Witch Doctor Will See You Now (available on Netflix) with regular work hosting conferences, moderating high end Q&A’s for clients worldwide, and recording voiceovers in his studio in Hackney Wick. Q: In a nutshell, tell us the about your services and the some of the industries you’ve freelanced for? Q: How did you get started in the events industry? A: Well I have hosted TV and Radio shows for ages…but years ago I was coaching a group of sales execs on their presentations. To get the energy up I would do mock introductions that set audience expectations super high. They asked if I’d introduce them like that at the actual conference. I also moderated my first Q and A – the senior team turned things around by answering difficult questions from the delegates. The company made huge steps forward in a few hours – the CEO told us it was the first time he felt excited to sign the cheque. And I was hooked! Q: Most memorable moment working as a freelancer? A: Interviewing Martin Clunes live onstage at the NEC last year was hilarious. And nothing beats the adrenaline of hosting Facebook Live events – it’s that tasty blend of well-rehearsed and anything-can-happen. The best memories are often about working as part of a conference team, pulling out all the stops all night long. I love the contrast between last minute hyperactive chaos and that moment when the show starts. Suddenly it is LIVE and it has to be ALL about the delegates. Q: Best location you’ve worked at? A: They are starting to blur and I never really see anything outside the conference hall – any spare time I’m pacing up and down in my room practicing my speeches, or coaching others. Sintra in Portugal was lovely – there was a beach, and a bar…or was that Barcelona? Q: If you could go back in time, what advice would you give yourself when you first started out in the events world? 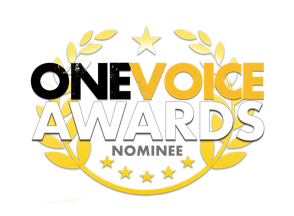 I am delighted to be on the shortlist for Commercials Best Performance (Radio) at the One Voice Awards 2018. 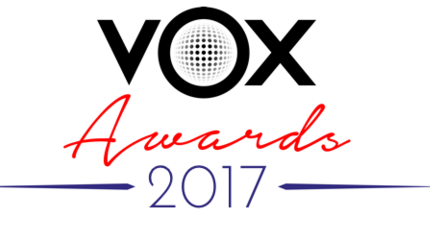 Looking forward to the awards ceremony in April. Huge thank you to Nicki Marinovic, Sara Hashem and Louise Mulroy at Maple Street Creative for producing this wonderful ad for “A Spokesman Said”! I have just finished recording the narration for an 18 part TV series (Mystery Places) and a 100 part series (Did You Know) both for German TV. All recorded in my studio via live timecode links with Aachen and Munich with grateful thanks to SourceConnect Pro. And now I need a cup of tea! 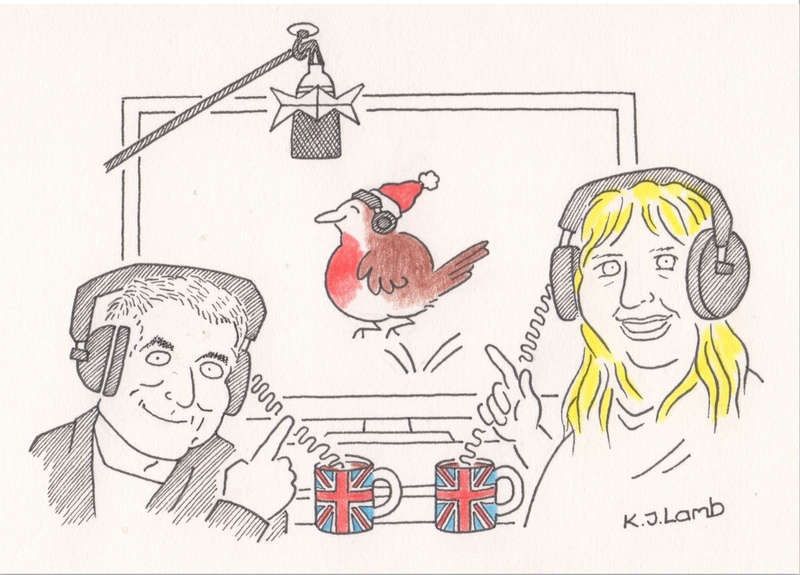 This year for Christmas my voiceover studio colleague Louisa Gummer and I decided to do two things. 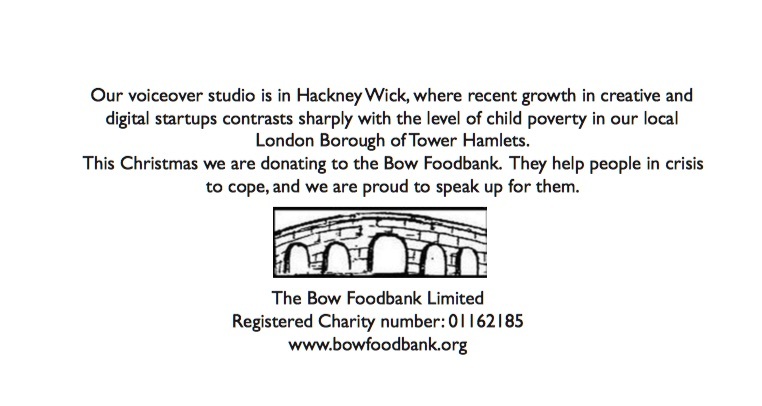 First we wanted to give a voice (and some money) to the people in crisis in our local borough of Tower Hamlets in London. We found an excellent charity doing great work. 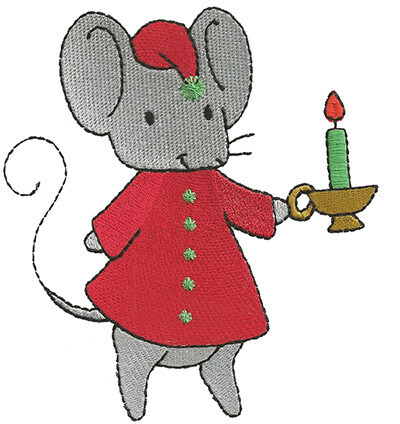 We also wanted to send out a more personalised card. Luckily I was able to track down a famous British cartoonist who I last saw when we were both growing up in Kuwait. Kathryn Lamb is very good and very funny and we are delighted to be working with her.